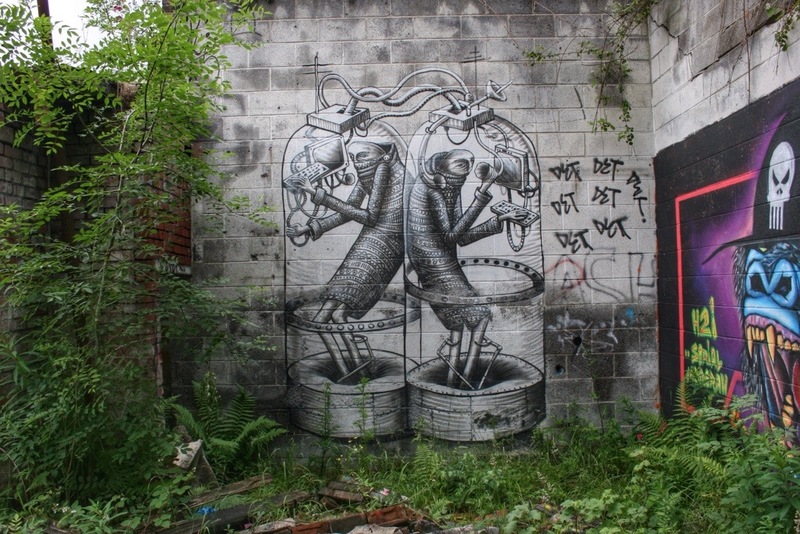 Isolated Together by Phlegm has been a personal favourite of mine ever since I got into his stuff. It was one of them pieces where I always ‘wondered where it was’. My initial visit to this piece was September last year (2013) where at this point I was only using my camera phone. I’ve only been back twice since with my final time been last week (End of June 2014). A few days later I’ve seen from photos that the spot where this piece is located is undergoing demolition. 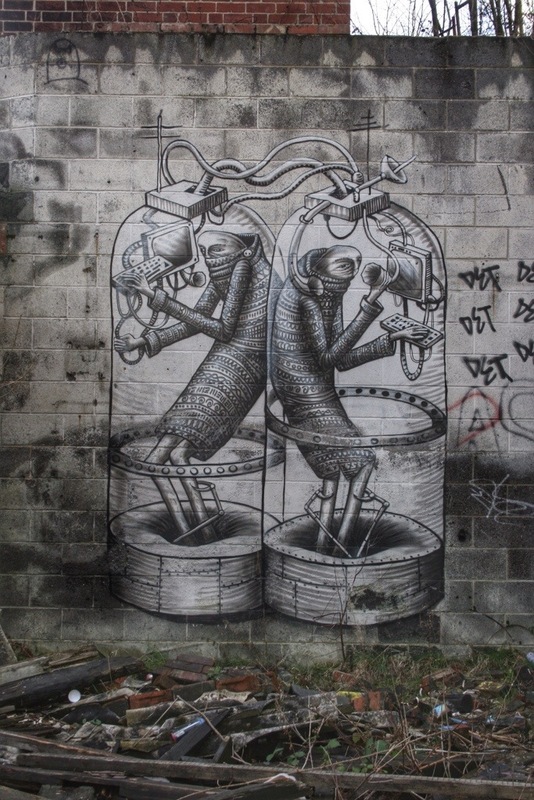 I’d say I got my final visit in just at the right time as I managed to shoot a little video of the Phlegm piece which you’ll see later in this post. The piece has an excellent meaning behind it and this is how technology has the scope in order to bring people together and at the same time how technology isolates others. It’s a piece which I’ll miss both in the flesh and by up to date photos. 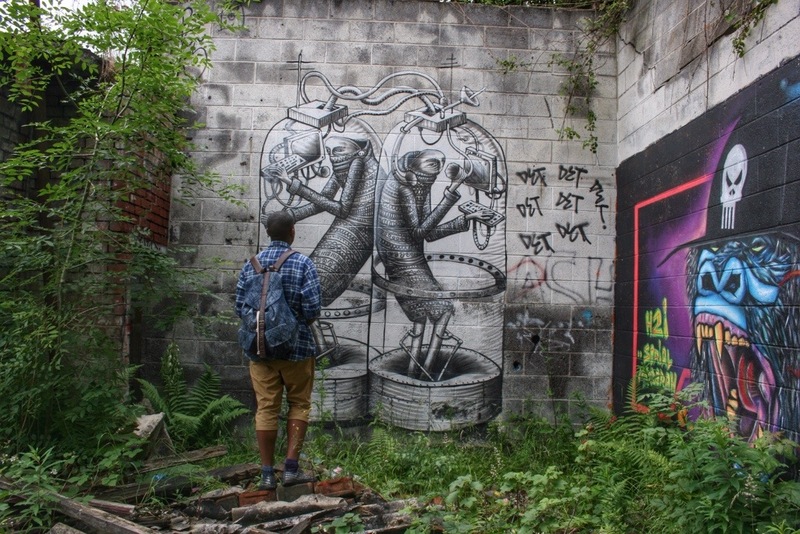 Glad to have had the privilege to see this awesome piece and document the piece! This first flick is from my second visit earlier this year. The next few are from my most recent visit with a friend striking a pose for one of the shots! What an incredible piece, such a shame to see it go! 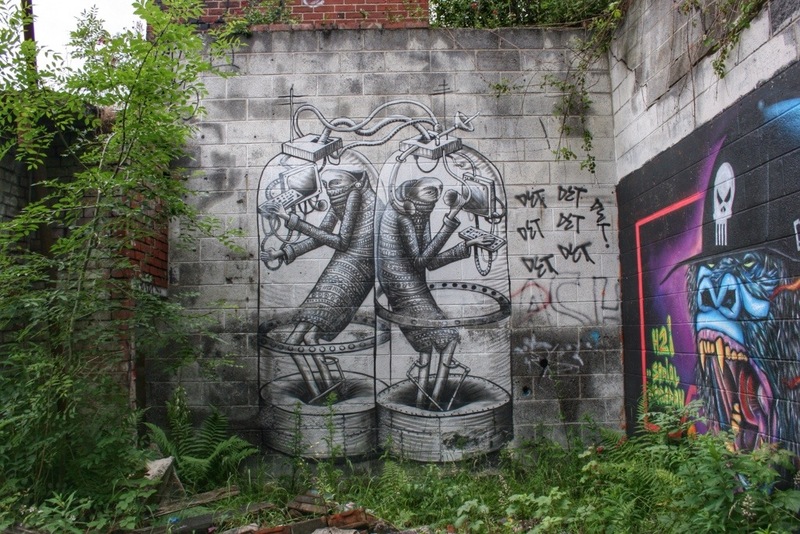 Really hope that Phlegm comes back to Sheffield soon to make up for the lost pieces.